Looking for a different holiday experience? Backpack through Amsterdam! Home Amazing world Looking for a different holiday experience? Backpack through Amsterdam! Amsterdam, the capital of the Netherlands is a preferred destination for vacations for backpackers. This breathtaking destination is full of surprises , beautiful locations and exotic cuisine. Fulfill your travel lust by travelling to this amazing place. One cannot afford to miss the scenic beauty of this city. The inner city has canals and Bridges, making Leiden the ‘Venice of Amsterdam’. A mixture of historical inhabitation and present technology makes Leiden an unforgettable experience, with old windmills and lush parks. Park you car in the P&R leiden Haagweg at reasonable prices and enjoy the service of Shuttle buses which will drop you to a point of your choice. Amazing, isn’t? What makes your visit hassle-free in this land is the language. 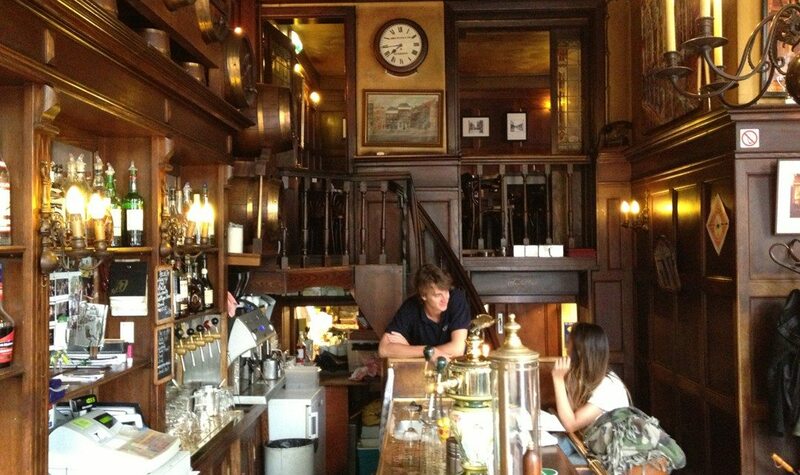 Around 90% of the population in Amsterdam speaks English. What a relief! 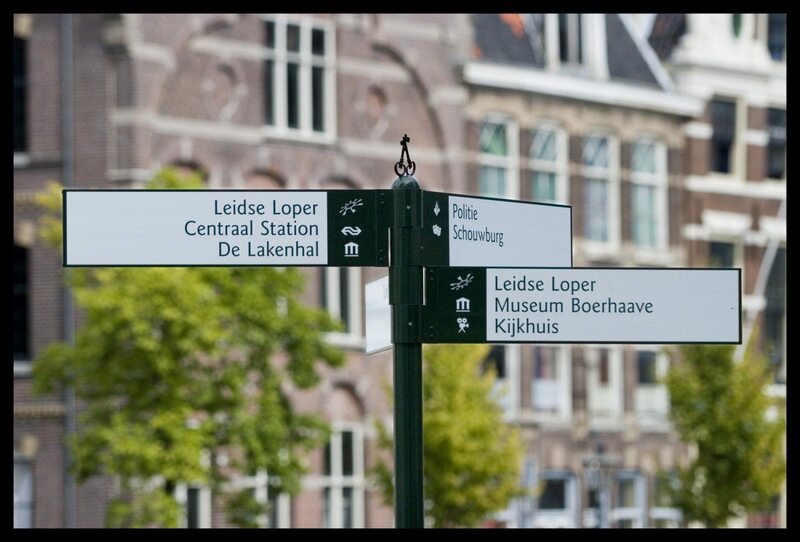 Also known as Leiden Loop, it is a self-guided city walk for Leiden city, which has not changed since the 17th century. Enjoy the once in a lifetime experience of walking in history in the present time. Started in 1593, this tradition is still continued today. Celebrated between April and September, this traditional market draws about 100,000 spectators annually. 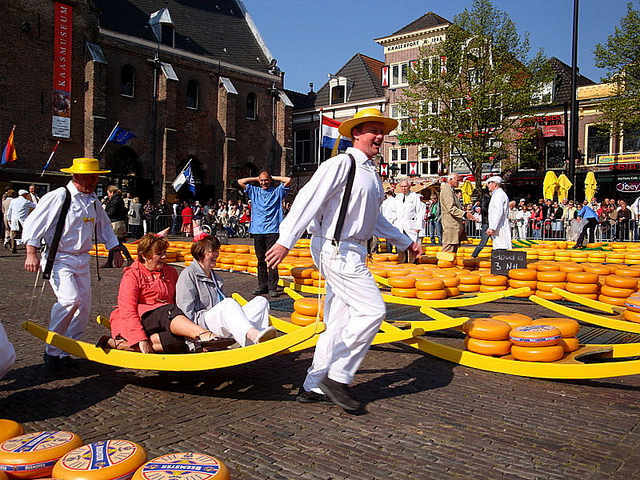 Centuries-old practice of weighing cheese is re-enacted and is a lively and fun loving experience. 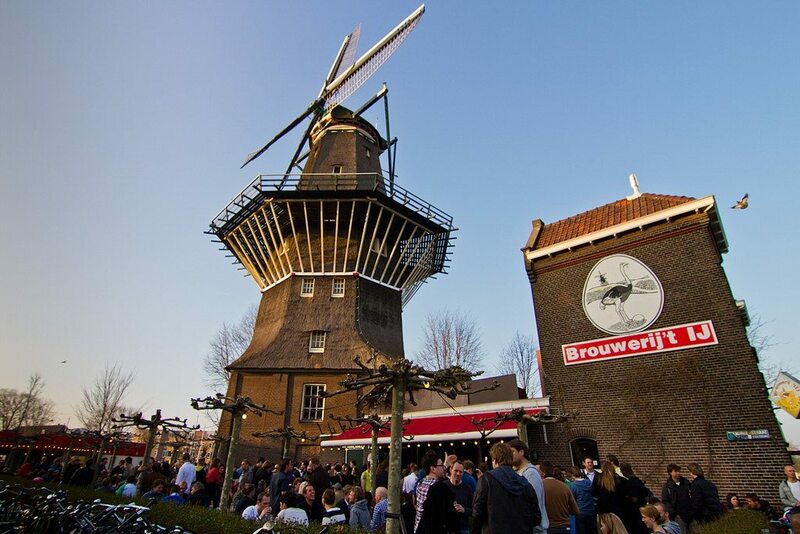 Also known as “windmill brewery”,it brews beer under the magnificent windmill. Also, the cheap prices will leave you more than happy. Don’t be disheartened with Small glasses of beer as these are enough to get you stoned. Located at one of the pleasant canals, this was originally built as a distillery in 1780. It still retains it’s original look with dripping candles and vintage brass furnishings. Take up a waterside seat and appreciate the beauty with some alcohol. Got the urge for speed? This is the right sport for you then. 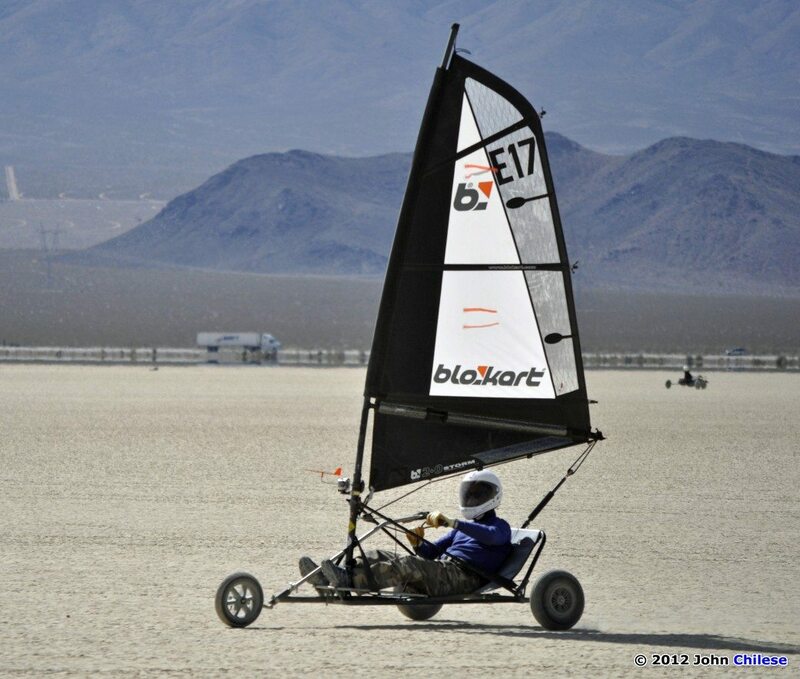 A 30 km stretch of beach is enough to satisfy your beast by indulging into Blow Karting. Drive at full speed and no one will stop you. 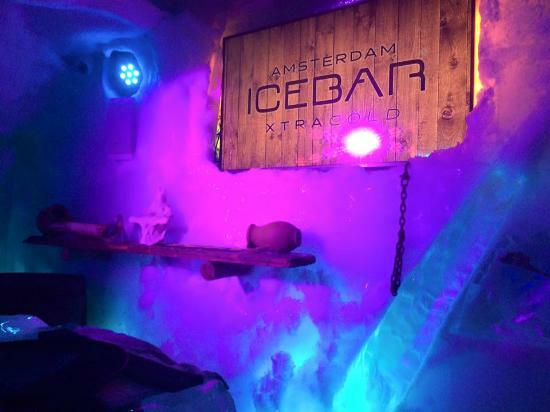 Head to the Xtracold Ice Bar in Amsterdam and enjoy iced drinks at a temperature of negative 10 degrees Celsius. Everything inside is made of ice, be it stools , walls or anything. This is once in a lifetime experience. Climb and swing and balance on suspension bridge. 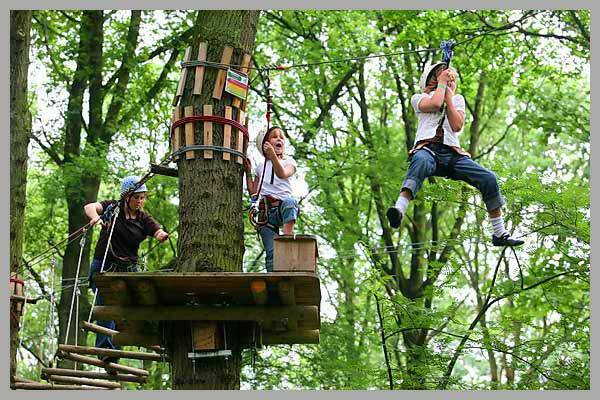 Opened during March and November, this place offers nine exciting and different climbing courses of varying heights and difficulty levels. If you are truly adventurous, don’t dare to miss this. Previous articleTravel benefits you with experience.